Soil Requirement: Prefers well drained swoil, but is tolerant of a wide range of soils. Enjoy a second round of showstopping blooms. 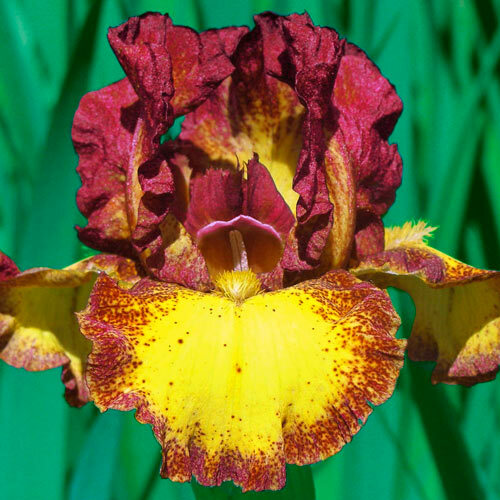 Yellow standards are heavily washed with smouldering ruby red, but what really sets this iris apart is the incredible, dotted, rust-coloured edging on its bright yellow falls. Ideal for borders! Flower Color Yellow standards heavily washed ruby Red. Bright Yellow falls with a rust dotted edge. 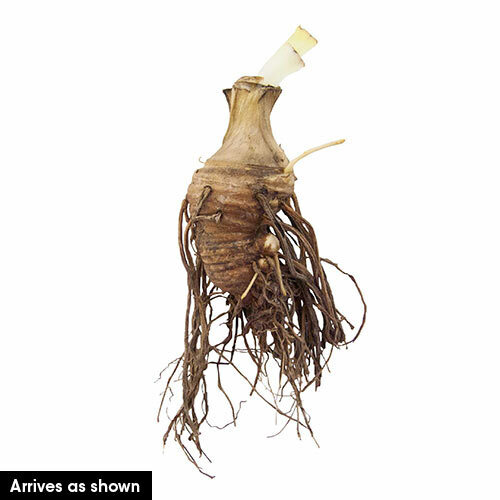 Planting Instructions Set rhizomes so bottom half is below ground level. In sandy soil they can be planted 1-2" deep. Firm and water thoroughly. Plant where they will get at least 5 hours of sun per day. Soil Requirements Prefers well drained swoil, but is tolerant of a wide range of soils.